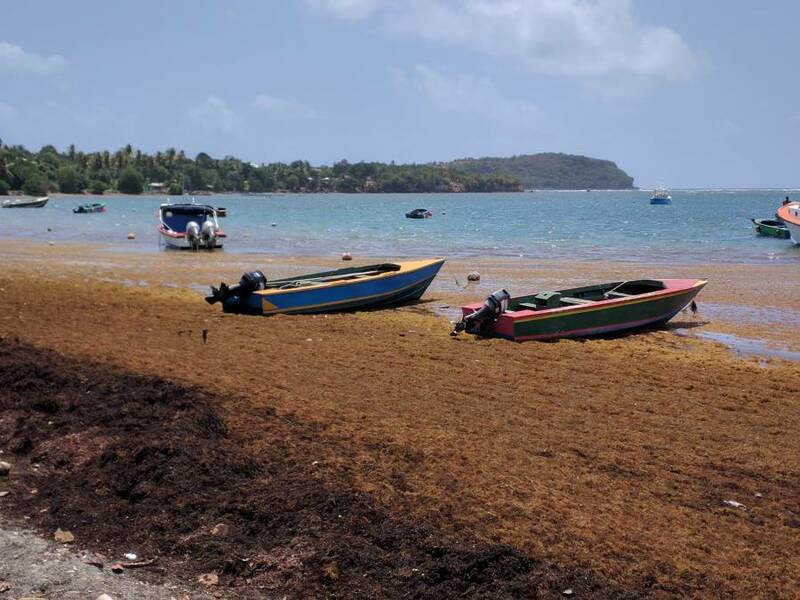 Environment Minister Simon Stiell has described the annual flow of sargassum into the Caribbean Sea from the Atlantic Ocean as a chronic annual problem that is costing Grenada and regional governments millions. “The influx this year has started much earlier than in previous years, this has become a chronic issue not just for us here in Grenada but throughout the Caribbean, even as far north as Florida,” Stiell said while presenting his ministerial statements during last week Thursday’s sitting of the Upper House. “Last year alone we spent somewhere in the region or over EC$1 million in clearing key areas where we had a build-up of sargassum which is causing health issues, issues for our fishermen and issues for our communities,” he said. He informed the members that government has put together an action plan to the deal with the sargassum which greatest impact is on the tourism and fishing sectors. “So, an action is being put together it will be presented, it starts at the most basic level utilising our environmental wardens, those teams are established in each constituency, they will be deployed to address those areas where there is environmental sensitivity on our shoreline and where manual interventions can affect it,” he said. In addition to the manual intervention, there will be some offshore marine equipment through the German Deutsche Gesellschaft für Internationale Zusammenarbeit (GIZ) environmental project to help with the removal of sargassum at sea. The equipment is due to arrive later in March or early April. “We are also talking to the University of West Indies who have conducted a number a study in deploying booms and other offshore measures that can help eliminate or reduce the amount of sargassum that comes on the shore,” Stiell told the sitting. “What is important for us to understand here, is that we cannot solve this problem. We can’t prevent the sargassum from coming, it’s become a new reality for us, just like our next-door neighbours, the best we can do is to deploy techniques to help us manage it,” he said. The Grenada Government has also written a proposal to the Japanese Government seeking financial support at the national level and through a regional project. In a study released in late December 2018, the University of South Florida said that the Caribbean will see greater quantities of sargassum in 2019. From the past 3 years, the influx of sargassum is becoming greater and for a longer period.